We set off from Cumbria on the Friday after school finished filled with excitement! It was a quick stop over at Marine Parade in Dover before catching the ferry to Dunkerque. The morning ferry was very pleasant and it was soon time to get behind the wheel of the motorhome and hit the peage. Ten hours later we arrived at Les Marmottes campsite in Essert Romand. Maxime, the campsite owner had prepared the pitch expertedly. Sunday morning it was over to the bus stop. 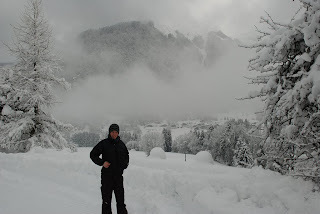 It is so convenient to walk across the road to the bus stop and 1 euro later you are standing in the middle of Morzine with kilometeres of ski runs to choose from. First day it is always a warm up on Le Pleney side. Overlooking Morzine on a glorious day! The next day saw our heaviest snow fall! It always amazes us how the buses run when the roads are so white. 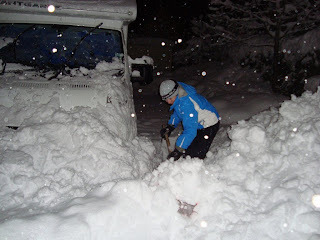 An excellent day on the powder including some scary skiing on the Chamoissier was topped off by having to dig our way to the door of the motorhome! 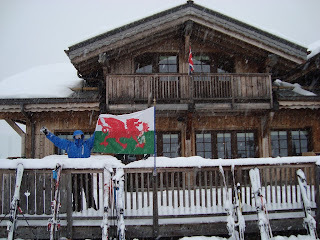 H loving the Welsh feeling at the Nyon! Trying to get into the motorhome at the end of a great day! The next day the weather was back to its best. We decided to head swiss side and the plan was to tackle the canyon de shott on the way home. 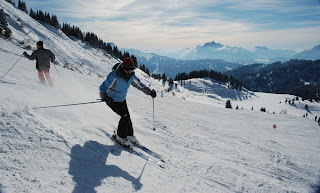 The skiing was sublime and the views spectacular. It was a couple more days of excellent skiing. A curry with Carl and Sian on the last night set us up for the journey home. 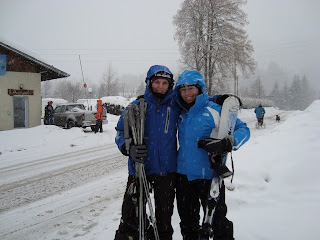 Both sad to leave but in need of a rest after a full on weeks skiing! H sad to leave but happy for the rest! 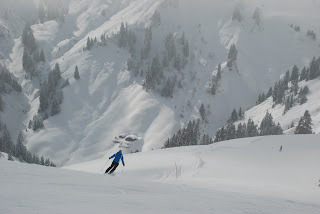 Check out the photos on Flickr for a real feel of the fantastic skiing. Out of interest, how did the Compass cope with the cold? We ask because we have an Elddis Autocirrus (same manufacturer) and wonder how warm your nights were! 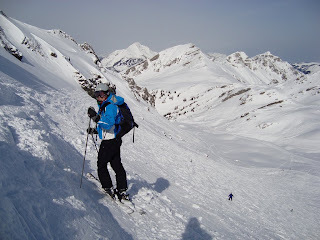 We are planning a trip for next February to do some skiing from our motorhome too! 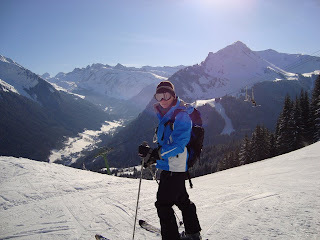 Hi Jonathan Sorry for the delay, if you went skiing hope you had a great time. In response to your question the compass has been great. 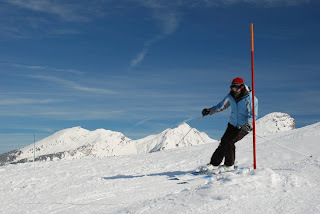 We have had 3 skiing holidays in it now and the lowest temperature has been -23. We have an electric oil radiator that we use which has been sufficient. We don't use the tanks just incase they crack with the freeze. The only issue we have had is a broken lock on the electric door due to the ice. 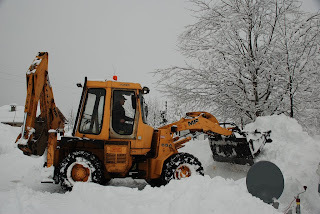 The only time we have used the snow chains has been at home this year getting back to Cumbria! 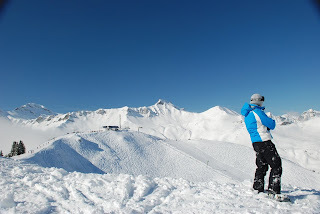 Hope you have had a good skiing experience!